How to Profit in Today’s Real Estate Market! Learn How to Generate Cash, Cash Flow, and Take Control of Your Financial Future. Receive Instant Access to this $297.00 eCourse for FREE for a limited time. How to develop a realistic real estate investment plan, even if you never owned a house! My name is William Bronchick and I'm an attorney, investor, and best-selling author with over 25 years experience in real estate. I have authored six published books (available on Amazon, etc.) and have appeared on major media outlets like CNBC, TIME Magazine, USA Today, The Wall Street Journal, Forbes, Investors Business Daily and dozens of others. My goal is to help YOU realize your dreams through real estate investing. Whether you want some chunks of quick cash, steady income, and/or an early and prosperous retirement. I offer this online training as a way for you to get to know me and what I am about. I'm convinced you'll LOVE this training and learn a bunch of new ideas! With your help, I found the mother lode of information and will be exploring it comprehensively. I just wanted you to know that while I am now a "free" member, I will find the time in the next few days to go to greater depths on your site. I am glad I found you! Your teaching style is simple and down to earth. No hype or sales pitch, just good, solid information. Thanks for what you do! I cannot believe this training is free! Your teaching style is straight-up, no bull and easy to follow. 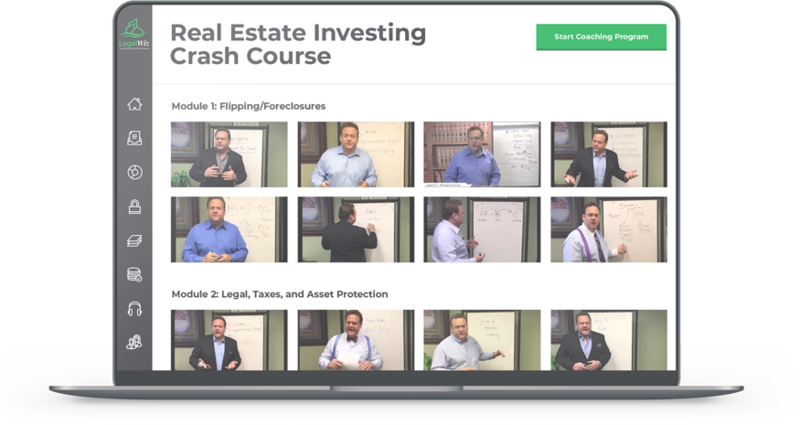 Anyone who want to learn more about real estate investing MUST sign up for this course! Don’t Miss this Opportunity To Receive This FREE Training and Take Control of Your Financial Future! Don’t put off. It’s only for the first 100 people who enroll. I am not leaving it online for much longer. So, sign up for the training now!